I don't have any idea who the subject of this painting is. However, the artist of this painting is probably Abu'l Hasan Ghaffari II. 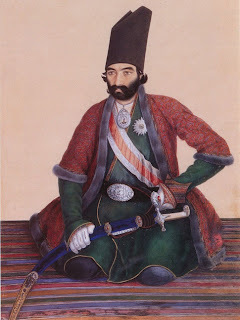 In 1842, he was appointed chief painter by Mohammad Shah Qajar and sent to Italy and France to study. He returned with a style that combined a new capacity for physical likeness and psychological characterization with a decorative flair that enlivened paintings without compromising their insight. 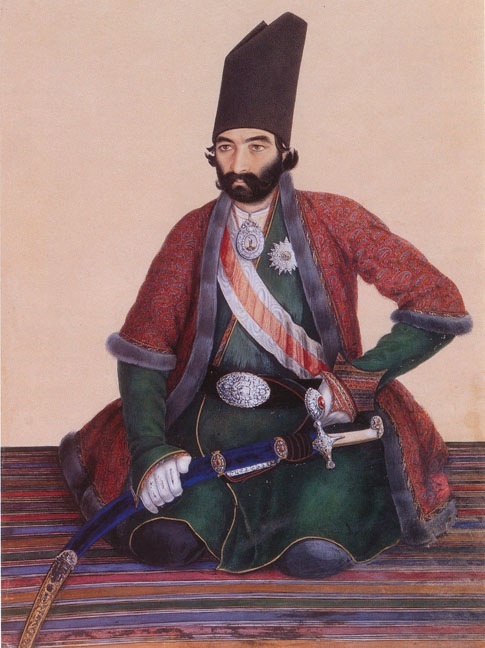 In 1861 the Shah rewarded Abu'l Hasan with the title Sani al-Mulk (Craftsman of the Kingdom).